The Fjell Belt Pack from Lowe Alpine is a simple pack which has been designed with lightweight trail walking and biking in mind. It's 4 litre capacity is great for storing a few snacks or even an extra lightweight layer for warmth should you need it. 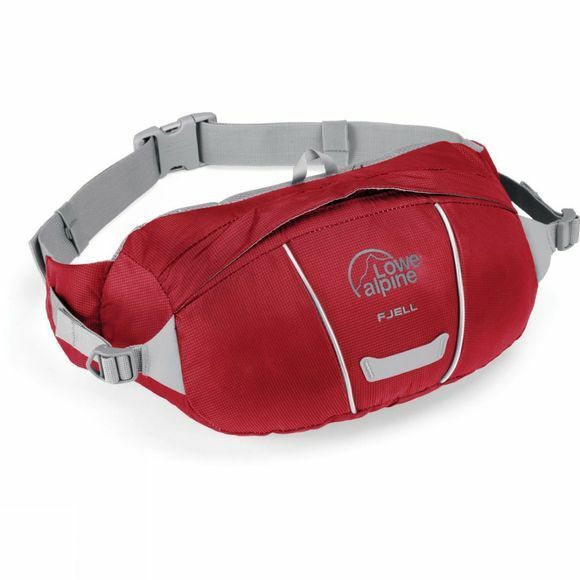 There are side compression straps to keep the load stable and secure to your body while reflective piping combined with the LED light loop (LED light sold separately) are great for making you more visible as the night falls.